I was also hoping to have the chance to blog about the awesomeness that was #nErDcampMI, but I feel like that ship has sailed, so here's a Storify instead. This It's Monday! post will chronicle some of the things I've read over the past two weeks. 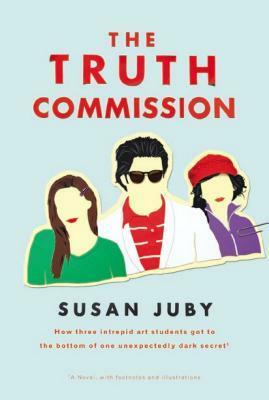 I will be reviewing this one soon, but spoiler alert: I didn't love it the way I love When You Reach Me. If you want to move a student up a reading ladder that pairs the heartbreak and hope of Eve Bunting's Yard Sale with the emotion and imagination of The Adventures of Beekle by Dan Santat, look no further than Katherine Applegate's newest novel. 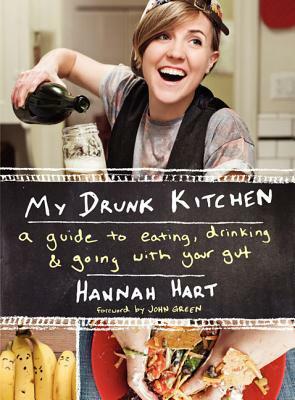 Hannah Hart has mastered the art of cookbookery without actually having written a cookbook. A fun parody of the cookbook genre, while also being deep and heartfelt in places, once you root through all the puns and silly humor. The wish and search for something extraordinary to happen often means we are missing out on the extraordinary things that are happening all around us that are just disguised as ordinary things. The message of this book puts me in mind of The Man with the Violin and how so often beautiful things are passing us by because we are too oblivious to notice. Absolutely breathtaking. I need to collect my thoughts and then write a thorough review soon! I'm not very far into this one but I already love it. I know I'll be recommending this like crazy! The Incorrigibles series is a comfort read for me. 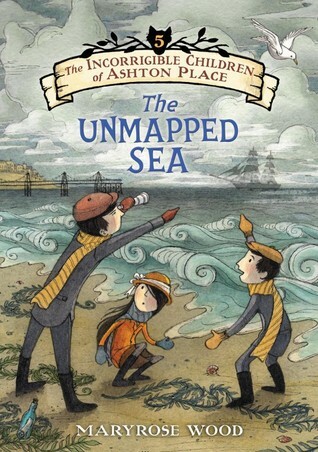 Katherine Kellgren is perfection as an audiobook narrator. Hi Beth, I enjoyed Goodbye Stranger. It has been so long since I read When You Reach Me, that I am incapable of comparing them. All I know for certain is that they are both good! We've got The Mysterious Howling, the first in the The Incorrigible Children of Ashton Place series, in our library, but I haven't even opened it. It's good to know that it is a fun read. I love audiobooks so I will see if our library has it. Crenshaw is moving up my review stack. I hope to get to it soon. Come see my reading week here. Happy reading! I agree with you about Goodbye Stranger. I did not enjoy it as much as When You Reach Me, but I did still enjoy it. Crenshaw and Echo are both on my TBR list. They both seem to get some rave reviews. 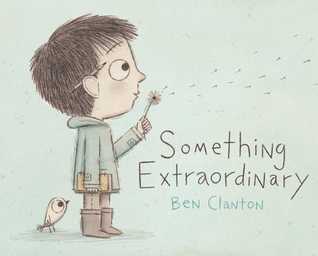 Something Extraordinary sounds like a great book to read to kids with a discussion of mindfulness and celebrating small moments. Thanks for sharing! Have a great reading week! Loved the Maryrose Wood titles, but my students are not picking them up. Drat. Wasn't keen on Goodbye Stranger, either. 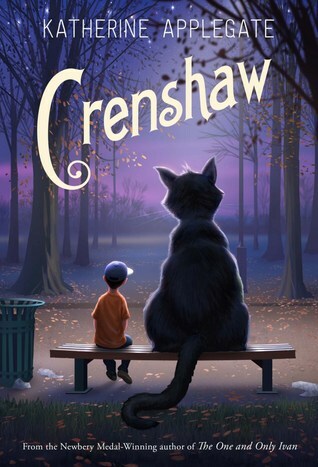 Crenshaw... could have down without the cat. Think the cat will make it harder for middle school students to pick it up and take it seriously. Maybe better for elementary? So many books here I want to read! I almost checked Echo out from the library this week, but it's a 7-day loan and I decided I just wouldn't be able to finish in time. But it's definitely on my list. 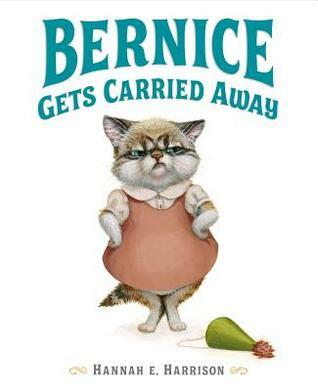 I just ordered Bernice, glad to hear Harrison has another fun one! I do love those illustrations. I have about 100 pages to go on Goodbye Stranger. I'm loving it so far, but I've heard from many people who did not have great love for it. Although, it is my first Stead book so I'm wondering if I'll be blown away by the others??? Liar and Spy is in my #mustread pile for this year. I adored Echo as an audio book. The musical element and the different narrators brought so much magic to the stories. I saw a write up on Drunk Kitchen not too long ago and couldn't imagine it would be good, but maybe it is ok?? I did love Crenshaw. Really didn't want that first read of it to end! Something Extraordinary sounds like my kind of book! I need to find it. The Man with a Violin is one of my favourites. Ben Clanton is coming to our store next week so that should be exciting. I'm been very mixed with Goodbye Stranger. 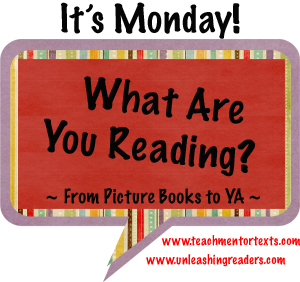 Some great books in your list this week! I love, love, LOVE Echo and am excited to read Crenshaw and Goodbye Stranger. I appreciate learning about Something Extraordinary-- a book I think I have to own! :) Have a great week! I hear such wonderful things about Echo. I can't wait to read it myself. I've had it for TOO LONG! Thank you for sharing! I finished Echo a few days ago - loved the storytelling and how the stories intersect beautifully in the end. I didn't much like When You Reach Me - so I have reservations now reading Goodbye Stranger. Rebecca Stead is a hit or miss for me.